Ralph S. Moore, January 14, 1907 - September 14, 2009. Above: 'Baby Austin', 2001. A second generation R. soulieana hybrid rarely exceeding 10" tall. On September 14, 2009, at 102 years of age, Ralph S. Moore passed away. 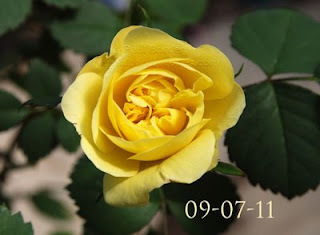 I doubt there is anyone reading this blog today who does not know that Ralph was a pioneer, an innovator whose influence on modern rose breeding has been global. 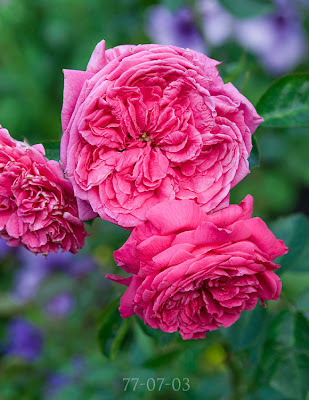 Many modern roses have Moore rose genes in their pedigree, and for good reason: Ralph's roses are easy to grow, prolific with bloom and have great genetic diversity. Moore roses are often also very easily propagated; something Ralph regarded as very important for the future of the modern nurseryman. There are so many things Ralph gave us that we should be thankful for. A. Communication: Word of mouth / Directed study / Books, etc. / What the market wants. - Small differences / bending the plant the way you want it to go. - DON'T take NO for an answer! D. Vision: Possibly the most important of all. - It is seeing the whole as though it were already accomplished; a reality. So you don't believe in miracles? 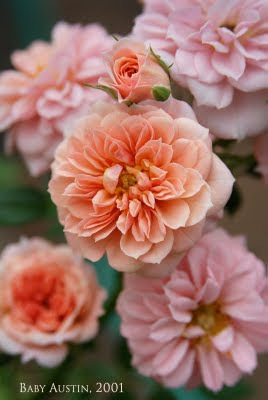 Sequoia Nursery / Moore Miniature Roses have been a miracle....things never seen or done before have happened here. THE ROSE is a miracle. A lot has been accomplished but much more needs to be done. Let us set our sights high....THINK the IMPOSSIBLE DREAM. To elaborate on what Ralph often described as The "Burning Bush" experience, I can add the following: to me, he described this as the experience whereby a person can become so focused on the goals immediately in front of him that he neglects to look around him and see what else is happening. If the hybridizer does not look carefully at his results, important and subtle features and shifts might go unnoticed, and so opportunities can be lost. Knowing how and where to proceed can be greatly influenced by recognizing when a new door has opened. This was a very important aspect of Ralph's scientific mind and it kept him alert and watchful all of his life, in all ways. My personal thanks to you Ralph, for all your many kindnesses and for sharing both your knowledge and your plants in order to further my own breeding goals. It sets seed readily with a wide range of pollens, propagates easily and is immune to Blackspot and Mildew. It does not repeat but has the genes for remontancy in it. Something I really like about some of my R. wichurana hybrids: generally they are very easy to propagate from cuttings. On August 7th I struck about 35 cuttings of the above hybrid and today they are fully rooted and ready to pot up. Thats just shy of 13 days. I just inspected these a few moments ago and I'm guessing that these could have been ready for potting up two or three days ago, so rooting may have happened in 10 days. What could be better than that?! 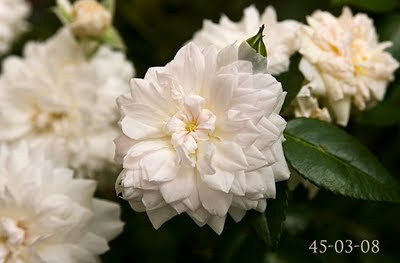 This is a small shrub about 2.5 X 2.5 feet, almost constantly in flower with clusters of 2" old fashioned blooms that open peachy and age to cream/white. 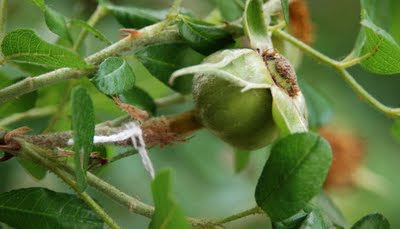 Blooms have the typical Wichurana "apple" scent. Disease resistance is excellent, although it will get some Blackspot when disease pressure is extreme. I know little about its Winter hardiness since my climate doesn't really allow me to test for that. Parentage is 0-47-19 X 'Crepuscule'. 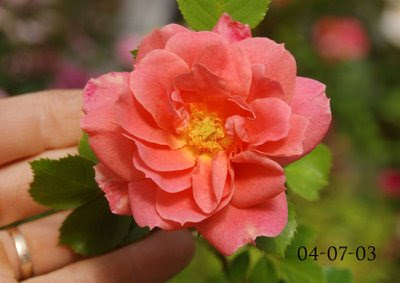 It is a sister seedling to the Wichurana Ramber 'Mel's Heritage'. At this point in the season things are settling into a routine of maintenance more than anything, which becomes both monotonous, and yet allows me more time to relax, something I need. Most selections have been moved up into gallon cans and many seedlings have been culled and sent to compost. A lot of tidying up getting done. Speaking of which, I must go fetch more 'John Davis' pollen today for freezing, to be used in the greenhouse next April/May. 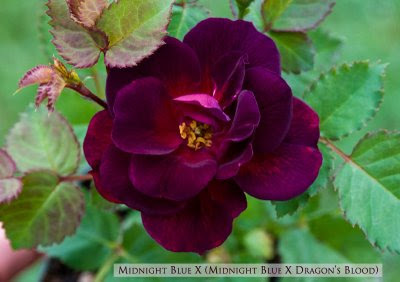 Tom Carruth's 'Midnight Blue' has turned out to be a decent breeder for me, often delivering shimmering purples and amaranths and occasionally black-reds, as illustrated here. This is one of the 49-08 seedlings blooming for the first time. I wouldn't normally consider 'Smoky' as a parent, but I made this cross on a whim last year. This is the only seedling I kept from a small group of seedlings. 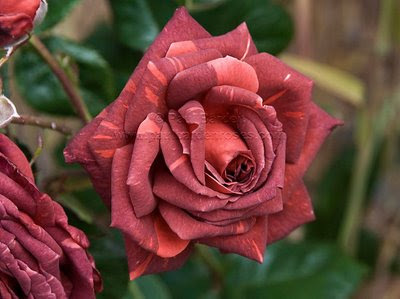 The color and petal texture cannot be photographed accurately; you should see how velvety the petals are, and the quality of the deep garnet coloring. It is branching from the base even before the bloom is fully open, which is hopefully an indicator of good shrub architecture. Time will tell. This year I have acquired the Spinosissima hybrid 'Suzanne' for breeding purposes. Bred by F. L. Skinner in 1950, this is generally considered to be an F2 hybrid of ('Stanwell Perpetual' X R. laxa). It is a tetraploid, which is what you would expect, given that both parents are tetraploids. 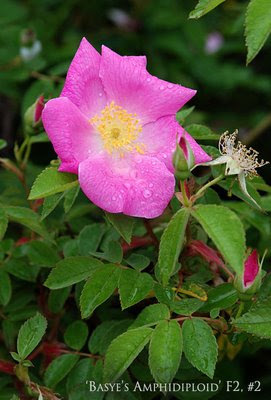 'Suzanne' has played a significant role in the breeding of the Canadian Explorer series of roses, contributing both disease resistance and Winter hardiness. 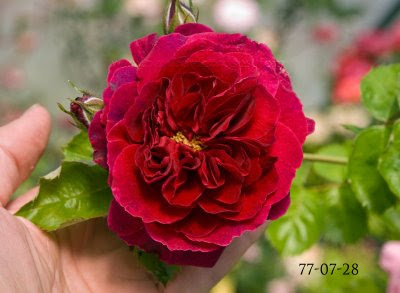 The key hybrid in creating the Explorer roses was a seedling by Robert Simonet of 'Red Dawn' X 'Suzanne', with deep pink semi double blooms. 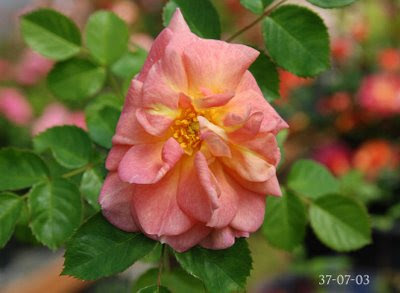 Ian Ogilvie and Felicitas Svejda at Morden and AgCan took this hybrid on for breeding and in combination with R. kordesii' and others, created the Explorers. 'John Davis', 'William Baffin' and 'Champlain' all include 'Suzanne' in their pedigree. All of these Explorers are fine roses, but the question is, what else can 'Suzanne' offer us? I have done some preliminary work in yellow using the fertile triploid 'Golden Angel' crossed with 'John Davis' and obtained some buffs and soft yellows that appear to be fertile (have set open pollinated seed). The next step is to cross the best of these yellows with each other to intensify the yellow (hopefully) and then start working 'Suzanne' into the mix. With this in mind, I have also a selection of Spinosissima hybrids this year that are 'Condoleezza' X 'William III', from which might come some non-pink hues if I'm lucky. I will select from these seedlings next year when they bloom and incorporate these with 'Suzanne' and the buff colored 'John Davis' hybrids. 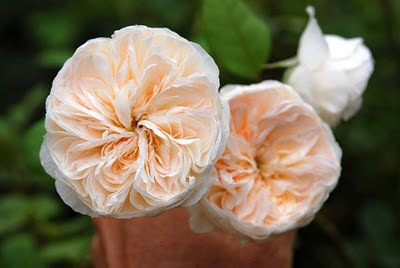 'Condoleezza' has shown itself capable of producing clear yellows and peachy tints in breeding, so I am hopeful something of this sort might appear. 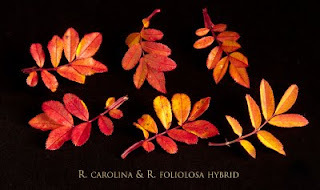 I think the Hybrid Spinosissimas are very beautiful and valuable landscape-friendly shrubs that should be explored in breeding to expand their color range while retaining their hardiness and disease resistance. In a decade or so, I just might have made some progress in this area, with repeat bloom thrown in as well! Just a quick post to show off the exquisite buds of my 'Crested Damask', released in limited quantities a few years ago, Breeding is 'Marbree' X 'Crested Jewel'. This has some of the best sepals of all the crested hybrids I know. I haven't tried its pollen on anything yet, perhaps I should? Click on the image to see the larger image. I have R. woodsii pollen to spread around.....gotta run! 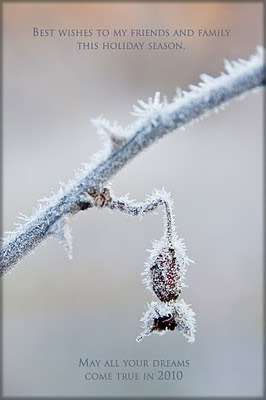 I love this graceful, hardy species, but I can't think of a great way to use it this year. The last thing I want to do is cross it with some modern HT or Floribunda, because thats not at all the kind of character I want out of it. What would you do if you had 2500 different roses to cross R. nutkana with??? The 77-07 group of L83 seedlings continue to flower, and yesterday there was a new crimson seedling that is the best of the lot so far. (Click on photo) Today this bloom has opened to a deep crimson red with purplish splashes on the outer petals, expanding to 4" in diameter. Slight fragrance. 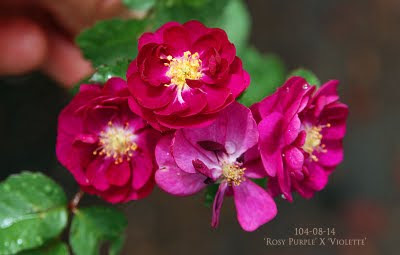 Very busy afternoon watering and out pollinating some of the Rugosas, but I wanted to share this photo with you. There isn't a lot to say here that wasn't said in the previous post. This is another "orange" seedling obtained from an L83 cross. This time I used 'Golden Angel' as the seed parent. It is surprising how easily influenced by the seed parent these L83 hybrids are. Very few of these have been five petaled blooms (L83 is a five petaled pink) and in fact, most have been quite full. This selection is one of only two from this group that has shown any yellow pigment worth mentioning. It has been potted into a five gallon can for growing on. It will be allowed to open pollinate to determine if it is fertile. The L83 seedlings from '07 are looking very promising. I'll need to get these propagated and tested in some Northern gardens ASAP. The seedling pictured here comes from a cross of Ralph Moore's yellow breeder 1-72-1 X L83, the AgCan tetraploid Kordesii breeder. The idea here, of course, was to work towards yellow in the Winter hardy, Blackspot resistance line. This is as close as any of this group has come to yellow, and it is peachy pink with a yellow center at best, but I think it represents a step towards better things. 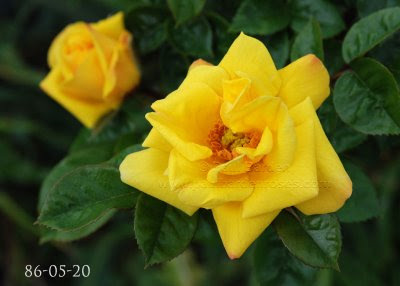 As 1-72-1 is a tetraploid yellow miniature climber, the likelihood is that all of this group are tetraploids also, and therefore fertile with any luck. The first thing I will do is allow these seedlings to self and see if seeds result. 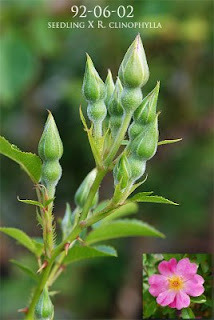 Then next year, if the open pollinated seeds germinate, I will make some intentional crosses, probably mating this with other peachy seedlings from the same cross. (There is one other so far and many still to bloom) I will undoubtedly mate this with the 'Golden Angel' X 'John Davis seedling mentioned a few days ago. At left: 77-07 selections. Click on the photo to see a full sized image. In 2007 I made a few crosses using the Agriculture Canada breeder L83 by Dr. Felicitas Svejda. 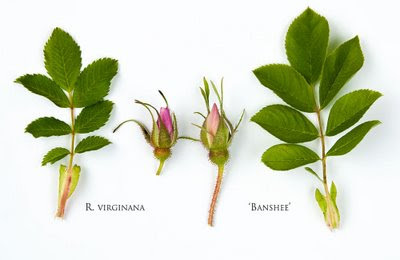 It is basically a R. wichurana and R. rugosa selection, multiple generations long. It also happens to be a tetraploid, making it particularly useful in breeding with modern lines. There were three crosses I got large numbers of seedlings from and L83 was the pollen parent in every case. 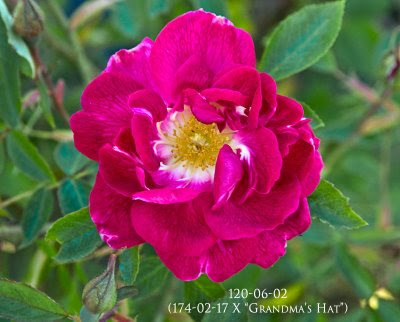 'Seed parents were: 'Golden Angel', 1-72-1 (Sister seedling to 'Rise 'N' Shine') and a proprietary red Floribunda I use extensively in breeding. Out of at least 70 seedlings of each cross, at least 40 of the two yellow groups were saved and potted into gallons and about 60 seedlings from the red cross were potted on. 77-07, the red group, has been the most fruitful. I would estimate that about 35% of these, a much higher number than expected, have been strong reds and several have been large blooms and very double. In the photo, 77-07-08 shows what some of the more double ones have looked like. Several of these have had fragrance and there was one that was a purple very similar to 'Tuscany'. So far about 20 of the reds have been moved on into 5 gallon containers and will be moved outside to watch their progress. This has been a very exciting group of seedlings and I am eager to continue trying new ideas with L83. 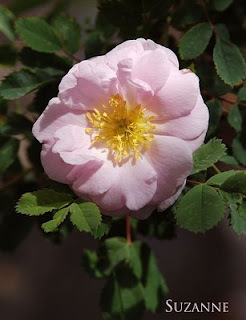 Last Fall, some members of the Rose Hybridizers Association received some of my surplus seedlings from the 77-07 group, so this information will be of particular interest to you. Have any of you seen any of the seedlings flower yet? In recent years the creation of improved "landscape friendly" shrubs for cold climates has become more of an aspect of my work. To that end, I made a cross in 2007 of 'Golden Angel' X 'John Davis'. 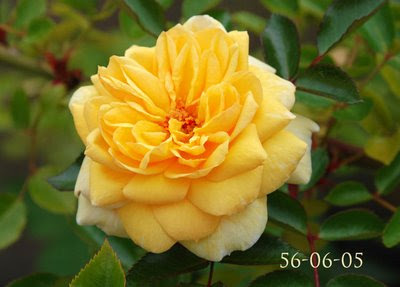 I have noted that 'Golden Angel' has bred not only some very disease resistant varieties ('Apricot Twist' is nearly 100% immune to Blackspot and Mildew) but also has the potential for breeding cold climate yellows, seeing as its seed parent was the Brownell climber 'Golden Glow'. Here is one of about 14 seedlings I obtained last year from this cross of 'Golden Angel' X 'John Davis'. In my wildest dreams I did not imagine getting a yellow as clear and strong as this. (Bloom is about 2/3 open. I will photograph it again later, and get a shot of the plant also) As was expected, this group did not bloom in their first year, as these types of seedlings tend not to have any juvenile remontancy. These first flowers are not large, about 2" across, but the plant appears to have superior architecture and the foliage is very beautiful, with a nearly species-like look: dark green, matte and a bluish sheen. There are two other yellows from this group so far and several still to bloom. This is very exciting as these may prove to be useful in the breeding of good yellow disease free shrubs for locations with harsh Winters. Very busy day, so I can't go into any more detail. I hope to get another photo later today. Enjoy! As the years go by and my experience with rose breeding accumulates, I have come to really appreciate the sage advice of Ralph Moore, who said to me: make the plant first and then hang the flowers on it. When Ralph said this, I suddenly realized how many roses in commerce are all about the flower and not about the architecture of the shrub. I don't know many Hybrid Teas that make good landscape shrubs. They're bred to produce cut flowers: solitary blooms on top of tall straight stems. That doesn't exactly add up to being a good shrub for the landscape. 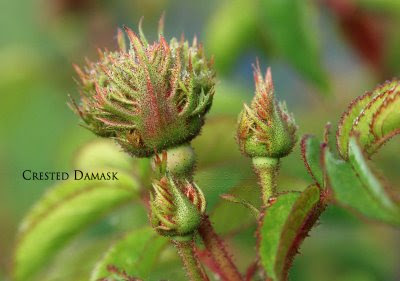 With this philosophy in mind, I have sought more and more to breed for attractive shrub growth habits. 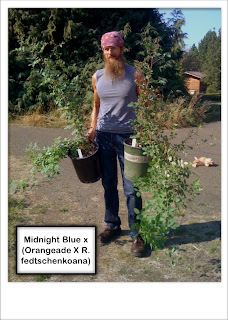 The native American species are beginning to play a role in this pursuit now, as are some of the Rugosas and some of my proprietary hybrids. I recently mentioned 174-02-17, one of my Hybrid Bracteatas that I use for breeding. It isn't a very attractive shrub in itself, with its wild, wiry horizontal growth and somewhat sparse foliage and small blooms. But it does breed some very good things, particularly attractive shrub architecture. The seedling pictured above is one of the best offspring I have obtained from 174-02-17. ('Hot Cocoa' was the pollen parent) 119-06-01 is the only seedling I got from this cross, and its quite remarkable. 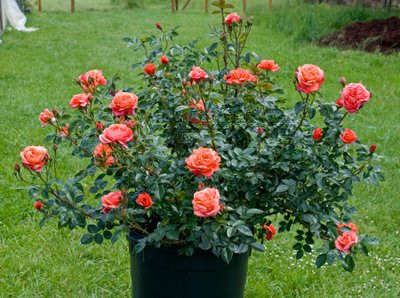 At two years of age now, it has built into a very full 3 foot wide shrub with excellent form. The plant is densely foliated with dark glossy leaves and the plant is full right down to ground level. No bare knees on this rose! New basal shoots tend to be quite horizontal, a trait from the Bracteata parent, and they grow more upright as they develop. This makes for a very well rounded plant outline. Blooms are 3" in diameter and quite full, globe shaped. 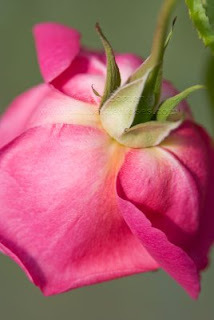 The petals drop cleanly, and there is a pleasant "modern rose" scent. 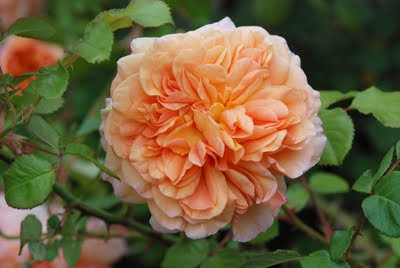 The soft orange blooms are produced in clusters of three to 25, opening sequentially over a long period. Happily, this cultivar is easily propagated from semi-hardwood cuttings. For me, this represents a nearly ideal shrub in terms of its architecture, bloom presentation and overall effect. I am now using 174-02-17 (its seed parent) extensively in breeding to further explore its capabilities. Funny how you can ignore a seedling for years and not consider its potential as a parent. It just goes to show you that its smart to try out many of your seedlings as parents before you dismiss them as "near misses". Some would say that hybridizing is mostly luck and happy accidents. I would tend to agree with that. 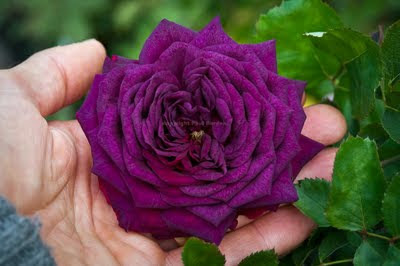 Consider this rose. I call it simply "Floor Moss". Why? Because it was a chance seedling that grew in the gravel floor of one of my greenhouses, under a bench just at the edge of one of the aisles. I first saw it about four years ago when it was about 4 inches tall, and I thought to myself just leave it be and see how it does. I figured that if it survived on near total neglect where it was, it might be worth keeping. Well, it grew like the proverbial weed and flowered for the first time in 2008. This year it has had 8 blooms and at least that many still to come. Yes, its a Moss hybrid and I suspect it is a 'Condoleezza' hybrid, as I was doing a lot of crosses with it back then. In fact, since it is a once-blooming Moss, I have a feeling that its other parent might be "Nutshop", Ralph Moore's Moss bred from 'Schoener's Nutkana'. The bicolor pink style of this flower supports that possibility. Of course, I will never really know. Anyway, I will probably put some pollen on this rose tonight, to see if I can recapture the remontancy in the next generation. I have already proven that it is fertile; I collected open pollinated seed from it this Spring and they germinated easily. 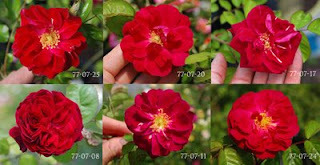 It seems to me that line breeding is rarely pursued in the breeding of roses. In part, I expect this is because undesirable recessives start to show up and loss of hybrid vigor becomes an issue as well. 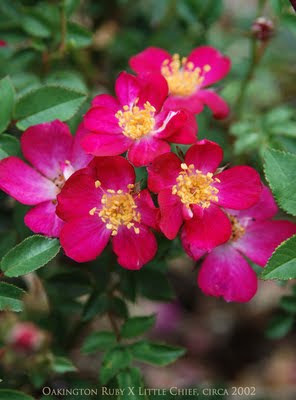 Still, many of the Canadian Explorer roses rely heavily on line breeding, making extensive use of the 'Red Dawn' X 'Suzanne' line and the 'Kordesii' line, and with great success. Well, I have been working with the Moore line of Hybrid Bracteatas for several years now and it has become very clear that the biggest battle with these is getting decent color out of them. Ralph Moore's most attractive hybrid of the group (for me) is 'Out of Yesteryear', whose parentage is 'Sequoia Gold' X 'Muriel'. 'Muriel' is Moore's first successful cross using R. bracteata (crossed with 'Guinee') that was fully fertile and able to carry forward the line. 'Muriel' is a tetraploid, as is 'Sequoia Gold', but when these two were crossed, 'Out of Yesteryear' resulted and it turned out to be a triploid! How two tetraploids mated to produce a triploid is a bit of a mystery, but there you have it. Even more interesting, 'Out of Yesteryear' is a fully fertile triploid, contrary to the mytholgy of triploids being infertile. You can use its pollen on pretty much anything and get loads of seedlings from it. I've done plenty of crosses with 'Out of Yesteryear' over the years and there are some excellent traits it passes on, and some not so great ones. 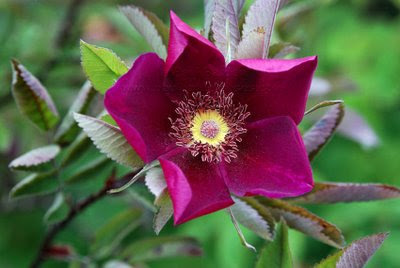 Its offsrping tend to have excellent vigor, beautiful foliage and often very beautiful blooms packed with petals. Many are often fragrant as well. 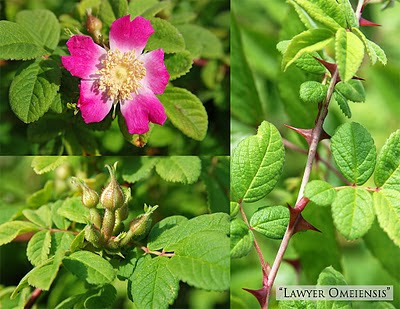 However, seedlings can be very thorny, the petal texture too thin and rarely do you get anything with strong coloring. Many seedlings are just white. 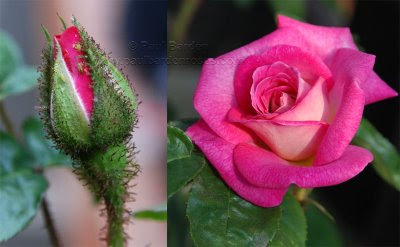 So when I get a seedling that has decent color, I'm inclined to explore it as a stepping stone towards Bracteata hybrids with good color, which leads me to these two. 33-03-03 = 'Twilight Skies' X 'Muriel'. Why, you might ask, did I select the mauve miniature 'Twilight Skies' as the parent for this cross? Because it was there! I had grown it for two years when it was new and it set seed readily, bloomed like mad, so I thought why not? It was untested and might have qualities that would make it worthwhile as a parent. The seedlings from this group were mostly lavender/pinks with one coral colored one in the mix. Several were grown for two years and all but 33-03-03 were discarded for poor vigor or unattractive blooms. 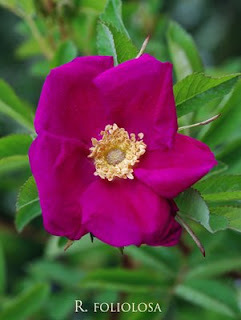 33-03-03 is a semi-climbing plant with dark green glossy foliage and 2.5" medium red blooms that fade to a reddish pink with age, about 25 petals, cupped in form. It blooms in clusters all along the arching canes, repeating in flushes through the year. David Zlesak kindly did ploidy tests on some of my Bracteata seedlings for an article we were co-authoring*, a few years back and it turns out that 33-03-03 is a tetraploid. 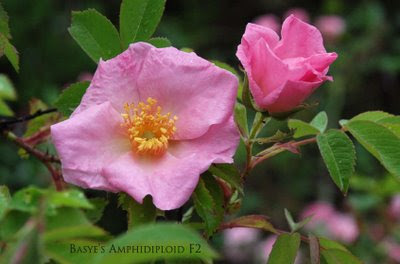 It is fertile in both directions and should be compatible with most other tetraploids. 174-02-17 and 33-03-03 happen to be growing side by side in one of the greenhouses, both descended from R. bracteata through 'Muriel', and both were selected for their relatively strong coloring. Yet it never occurred to me to cross the two together....until now. The idea (and hope) here is that some of the more interesting Bracteata traits might be reenforced while retaining the vigor, repeat blooming habit and red coloring of each. Anything could happen of course. I might end up with a load of diseased seedlings with no vigor and no rebloom. Its possible the seeds might not even germinate, assuming I get seeds at all! We shall see. I'm pretty good about documenting my work properly and making sure things are labeled clearly and correctly, but occasionally accidents happen. In this case, I have a seedling germinated in 2007 that is clearly not from the cross the label says its from. 130-06 is a group of open pollinated 'Old Blush' seedlings. There is not even a hint of 'Old Blush' in this plant. What I expect happened is that a seed from another cross wormed its way into the 130-06 row and thats how it was labeled. In '06 I did quite a lot with 'Midnight Blue' and this seedling looks very similar to some of the seedlings from those crosses. 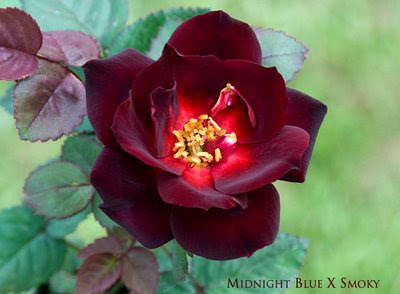 Anyway, I am going to assume this had 'Midnight Blue' as a seed parent and leave it at that. 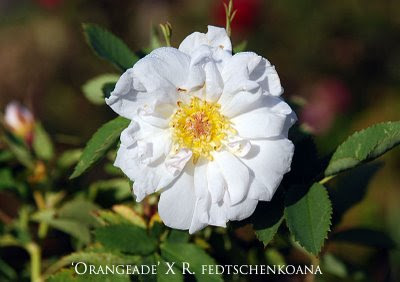 I wouldn't be the first hybridizer who lost track of the parentage of a rose. I have just moved this seedling from a 5 gallon container outside into the garden for further evaluation. In another year I will have a better idea of its merits (and flaws). It has a very decent fragrance, but the blooms are a bit on the small side at 2 to 2.5 inches. The color of the half open buds is amazing and defy photographing; almost black they are such a deep Amaranth purple. In the weeks to come I will likely present numerous test seedlings, as the 2007 and 2008 crop are all coming into bloom now. 1) Try not to handle the receptacle (ovary behind the petals) with your fingers, as the oil and bacteria on your hands can cause the developing hip to rot. 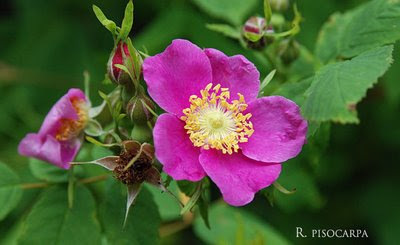 2) Leave at least one row of petals on the pollinated bloom when you are done. There is evidence that suggests you get a better rate of "take" when you leave some petals on the bloom while the pollen is settling onto the stigma. 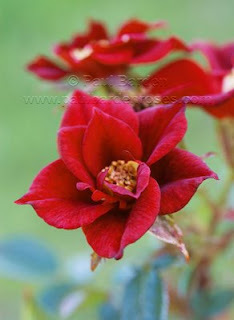 My first hybrid: "Red Star"
Yes, this is the first rose I raised from seed, in about 1997. 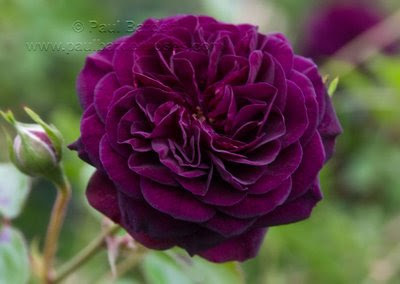 I recall that 'Black Jade' was the seed parent and probably Austin's 'Wenlock' was the pollen parent. I've filed this under "what was I thinking???" This is a miserable little seedling, with mildew loving foliage and its 12" stumpy, awkward growth habit. It has nothing going for it at all, but I keep it because it was the very first seedling I germinated. I doubt many hybridizers still have their first seedling, which probably speaks more to their good sense than their sentimentality! In 2006 I decided to do an experiment with 'Fortune's Double Yellow', the massive climbing Hybrid Gigantea, by putting its pollen on my favorite orange mini breeder, 'Joycie'. Why? To see what would happen, of course! Fortune's Double Yellow' is believed to be capable of breeding strong yellow offspring, and yet as far as we know it has not been well explored as a breeding plant. It is probably almost completely sterile as a seed bearer but its pollen is quite fertile. I obtained about 21 seedlings from cross 47-06, none of which bloomed in their first year of growth, which was Summer of 2007. They were moved into gallon pots to mature for the following year. 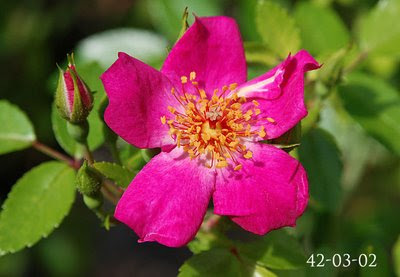 In 2008, three of these bloomed: one was a deep orange five-petaled flower with a dark rusty-red overlay, one was a very double ruffled hot pink 2" bloom and one was a very large medium pink Tea-shaped bloom on a vigorous plant which would obviously be a climber. In fact, that latter is proving to grow in very much the style of a Gigantea climber with classic Gigantea foliage and large, vigorous canes bearing a few hooked prickles. The rose illustrated here is that seedling. As you can see it holds it blooms in a pendant fashion, which is wholly appropriate for a climber that will present its blooms from several feet above the viewer's head. Now, in Spring 2009, fourteen of the 47-06 group have bloomed and for the most part are quite disappointing. 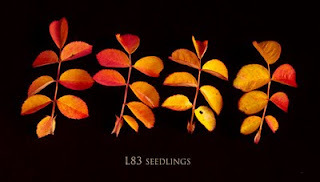 None has strong yellow coloring except the five-petaled orange-red one. 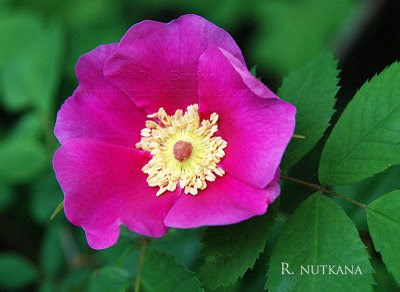 Most are pinks with varying degrees of yellow, and a couple are phototropic, developing a red blush with age. I have pollinated a few of these, and used their pollen elsewhere, to determine if any are fertile. I believe 'Joycie' is a tetraploid, and 'Fortune's Double Yellow' being a diploid, these seedlings are likely triploids. (Although work David Zlesak and I did with the Moore Hybrid Bracteatas showed that seedlings of mixed ploidy crosses did not always have the ploidy expected of the cross) With any luck this big pink seedling will be fertile, as it would be fun to create some new Hybrid Gigantea climbers for mild climates. I have documented the rest of these seedlings with photos and will show these in the next few days. I just need to make time to prepare the photos, but with the pollination season in full swing right now, that could be difficult! Stay tuned.